As I mentioned yesterday, I suddenly have a very busy schedule. When you’re strapped for time, you simply have to make time for working out because it should be a priority. So even if I can only get in a quick workout, I’m still going to make sure I’m getting my sweat on at least 5 days a week. Three days a week, I’m hoping to continue running when I get home from work. On the days that I’m not running, I’ve found a new fitness love that is helping me make the most of my time: Jillian’s 30 Day Shred DVD. Moving on to my fifth WIAW! For those of you who don’t know, Jen over at Peas and Crayons hosts WIAW every week – check out her blog for more information on it! 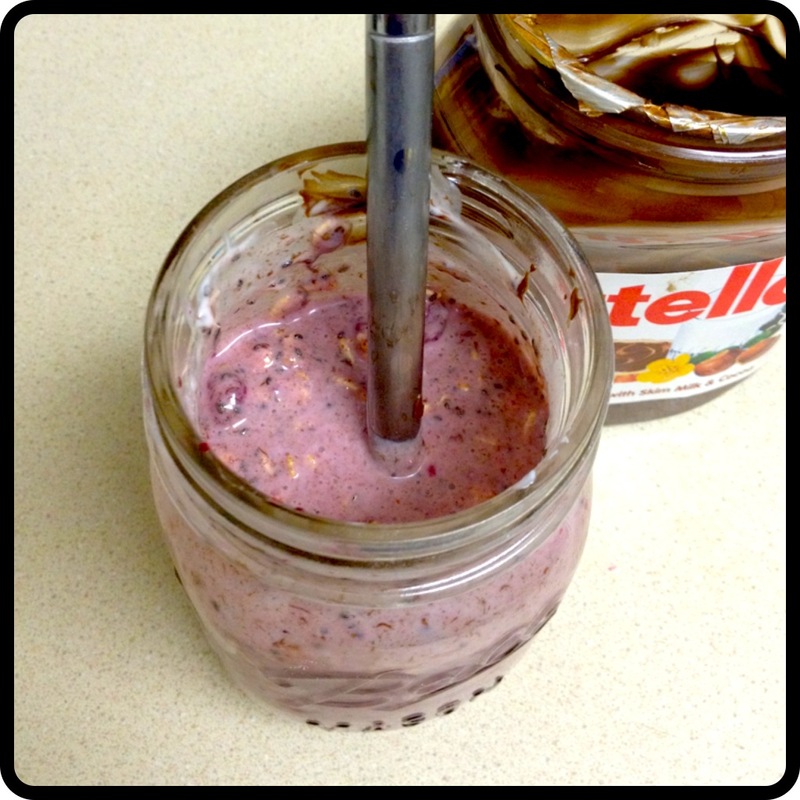 Breakfast was Nutella Overnight Oats (picture was taken just after they were made, so they aren’t thick yet). I know, I know – I’m in a breakfast rut. But overnight oats are so good and they always keep me full for a few hours! I eat breakfast around 7 and don’t have a lunch break until 1, so I need something really filling. I do try to sneak in a snack or two in the morning, and today’s snack was a Cliff Iced Oatmeal Cookie Zbar. 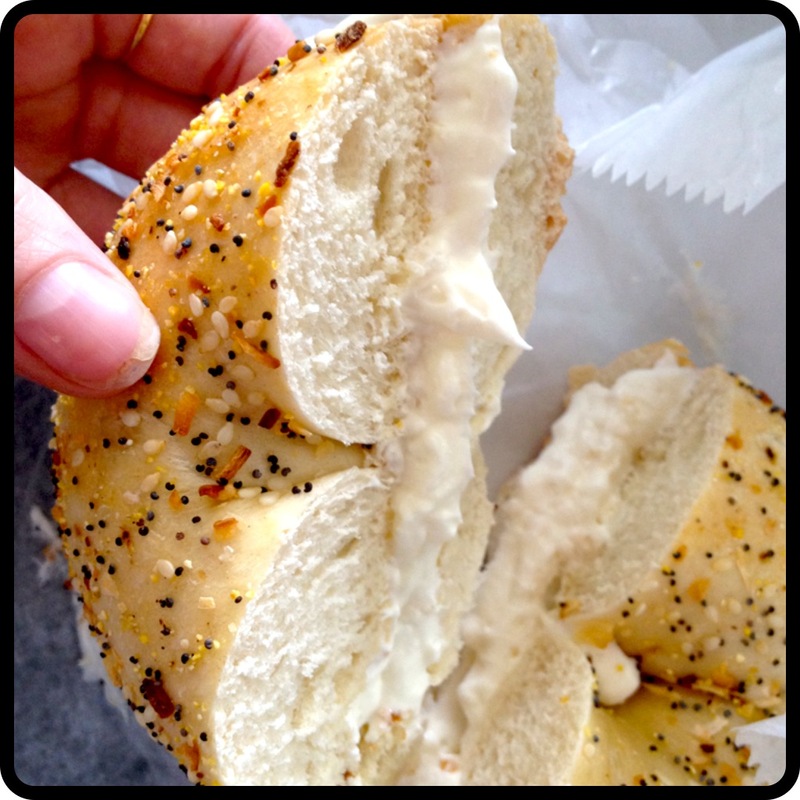 Lunch was an everything bagel with cream cheese. 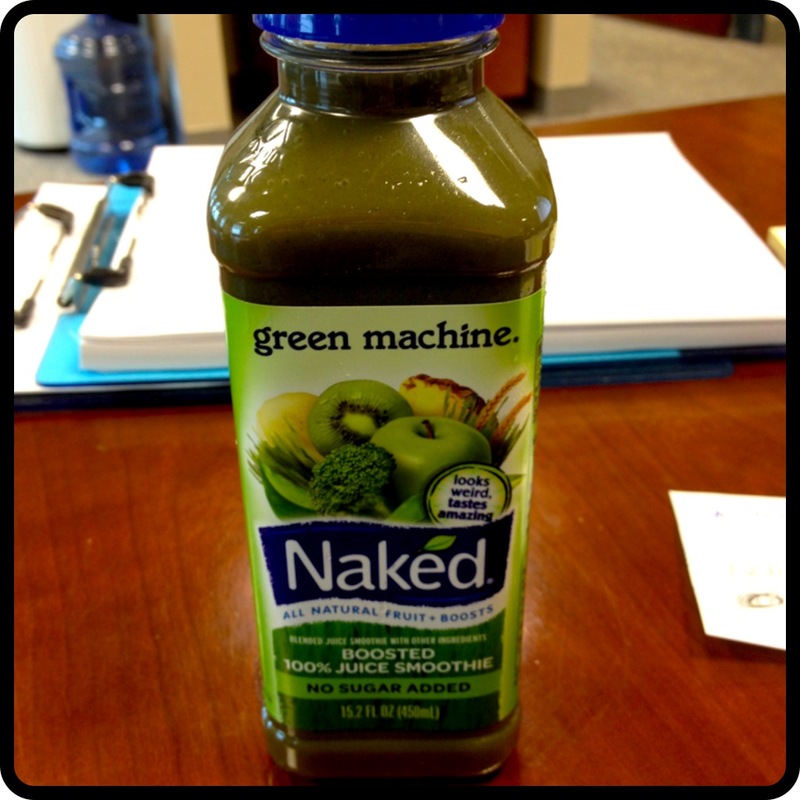 Along with a Naked Green Machine Smoothie. 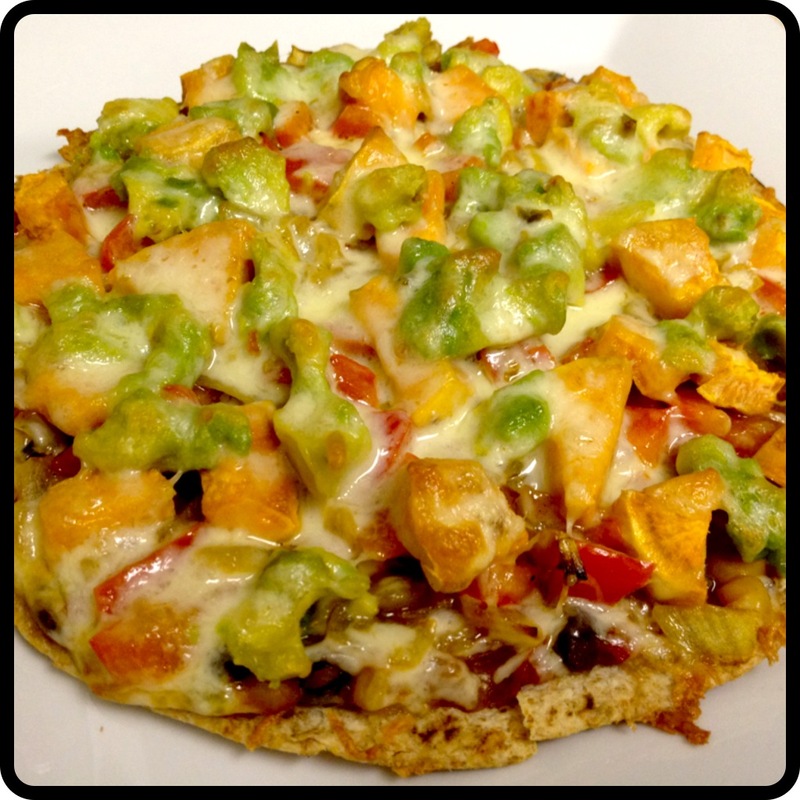 Dinner was a quick and easy Mexican Tortilla Pizza! I’ll be posting the recipe soon! And that’s WIAW! Be back tomorow with a delicious new recipe! 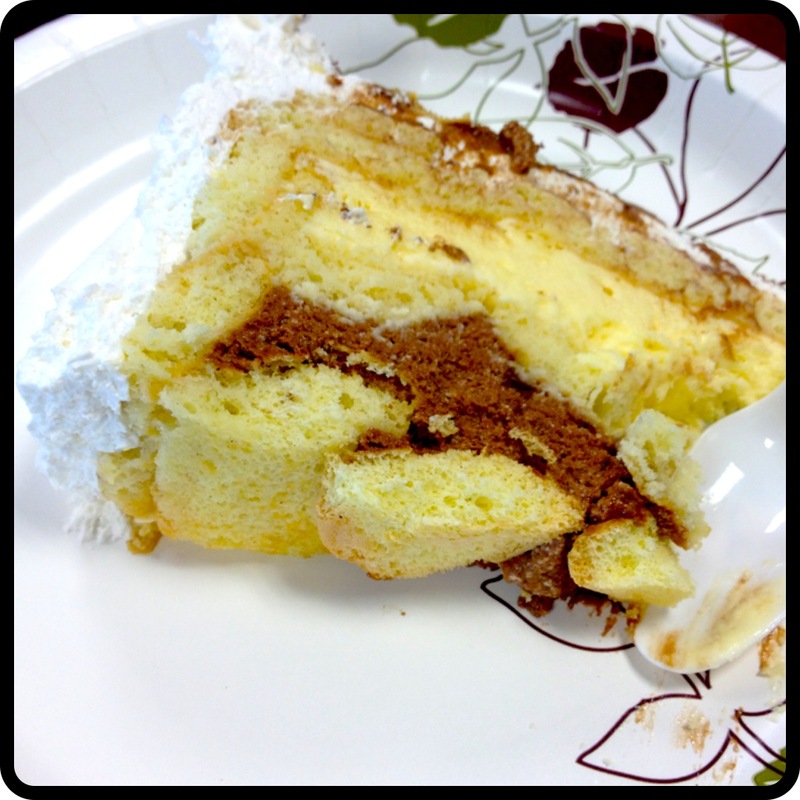 This entry was posted in Fitness, WIAW and tagged fitness, WIAW. Bookmark the permalink. I can’t wait to see what all went into the Mexican tortilla pizza – that looks so veggie-packed and ooey-gooey! Side note, sorry for using the word “ooey-gooey”, it’s gross and generic but I’m uncaffeinated and it seemed appropriate, ha. Can’t wait to hear about the mexican tortilla pizza! Looks delicious! That Jilliian Michaels DVD is a great workout! Thanks for saying hi! It was a big decision to change my career path but every day I’m more and more glad that I’m doing it. I’m starting grad school in the fall. Hopefully it will lead to an exciting career in health promotion! What are you looking to do? oh man. i had this meeting this very morning and they provided bagels and cream cheese. i dindn’t have any because i already had breakfast and had lunch plans. now, looking at your lunch i am kicking myself for not having just a little taste! 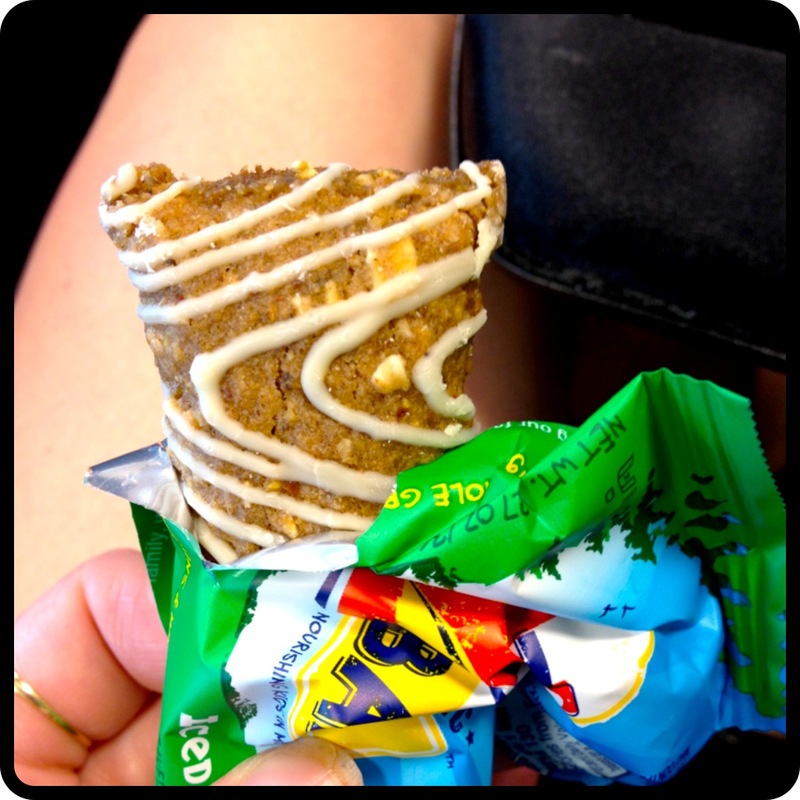 i am totally & completely obsessed with those clif zbars – especially the iced oatmeal flavor! I just can’t get over how doughy & flavorful it is. I know I love them so much! I think they taste like those oatmeal cream pies that I used to eat when I was a kid!